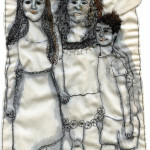 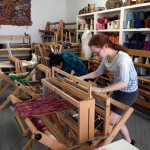 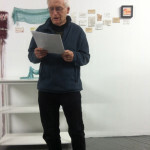 Thanks to Cynthia Alberto, I’m a Resident Teaching Artist at Weaving Hand studio in Brooklyn. 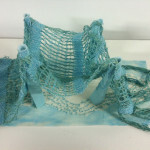 I’m having a blast! 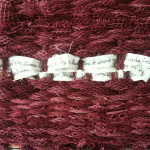 Using old shirts and fabric, I’m cutting these materials into yarn, which I use to weave. 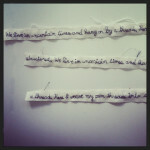 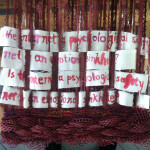 I’m also incorporating some text via embroidery and paint, adding to my @EmbroideryPoems project.